Office Space - South Brent, Devon. 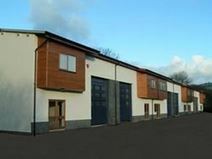 Located in an attractive natural area in the South West and close to important commercial cities, these offices offer an ideal working environment for companies and entrepreneurs. Furnished to a high standard and sophisticatedly decorated, they present an exclusive and elegant design, which will enhance the image of your company. These offices are easily accessible and excellently connected.